Home > Win 1-of-2 chances to access Australian Sports Camps for Free (worth $290 each)! Australian Sports Camps have run camps for over 30 years in sports such as Football, Netball, Cricket, Soccer, Hockey, Basketball, Rugby Union and Tennis, and are dedicated to providing the best sports coaching for boys and girls of all standards. Michael Slater attended an ASC Cricket Camp in his junior years and Mark Philippoussis attended a tennis camp whilst many other players at the highest levels in many sports have attended an ASC camp, including James Hird and Harry Taylor in AFL. 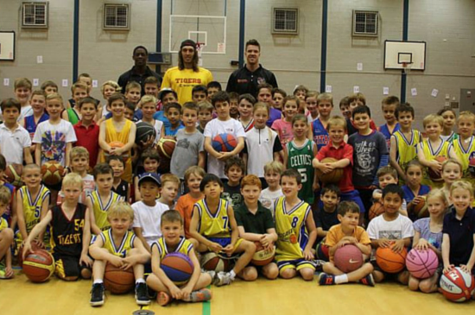 Australian Sports camps provide 33 years of experience in great sports coaching camps. Join below for a chance to win! We provide interactive and fun skills programs to ensure that participants improve their game and their love for their chosen sport. Our extremely comprehensive camp programs run for two or three days and are ideal for players aged between 6 and 17 years, and we also offer a range of shorter clinics and longer academy programs in a variety of sports. Camp places are available on a day or residential basis, with participants placed into separate groups with each having the same coach for the duration of the camp, which ensures that coaches can get to know their students and work on improving their individual skills. Specialist coaches or guest sports stars also attend daily to run specific skills sessions. At the end of the camp, each participant receives a complete and unique written assessment report, a camp certificate and an individually signed photograph with each student and the coaching director. Quality skincare recommended by international and Australian dermatologists. Win 1-of-2 Family Passes to Sovereign Hills’ Christmas in July! Our up-to-date list of competition winners.